PhD Nutrition are manufactured in the UK by experts in the supplement industry. They are renowned for delivering innovative and cutting edge sports nutrition products which extends to their protein powders. 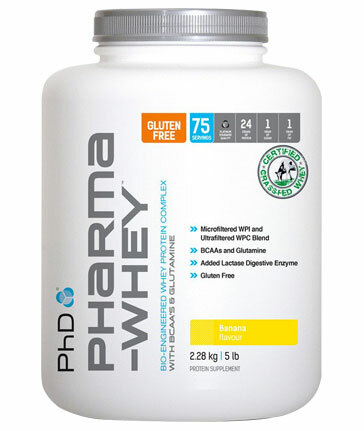 PhD Pharma Whey is a famous protein powder known for its ability to enhance lean muscle gains.